About Us - The Crate Escape, Inc.
We LOVE dogs and it shows! 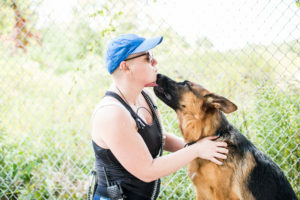 We’ve made it our passion to care for them as we care for our own dogs. Walk into either of our two Vermont locations and immediately sense what sets us apart from other dog care facilities. You’ll see different groups of dogs having fun with other dogs of similar size, age, and temperament both inside and outside. You’ll see our friendly staff supervising these groups and attending to all their needs. You’ll see a clean facility that is comfortable and personal. You’ll often see a dog at the front desk hanging out with our staff! We believe that a dog’s mind and body need stimulation and exercise and we’re here to give this to them in a loving and caring environment. We are committed to providing our clients with exceptional, loving doggie daycare and overnight dog lodging combined with the highest level of customer service. Make a reservation for your dog today!